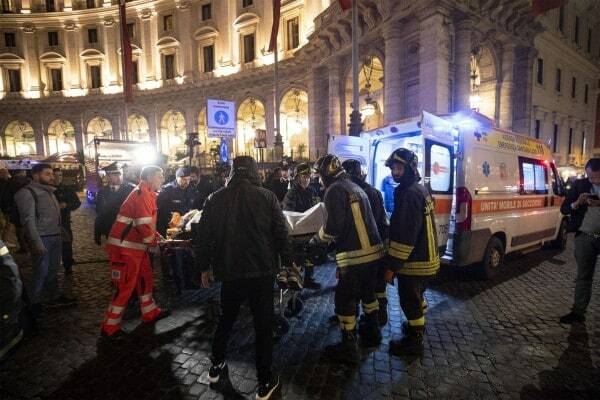 At least 20 people have been injured when an escalator in the Rome metropolitan system accelerated before collapsing on Tuesday night. 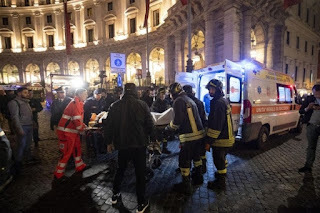 While the cause was not immediately known, the metropolitan station at Piazza Repubblica near the main Termini train station was closed by investigators. The injured people who are mostly Russians were in town for a Champion's League soccer game between CSKA Moscow and Roma. Firefighters said seven were in serious condition. Some witnesses reported that people were jumping and dancing on the escalator before the accident. The city transport agency officials are saying maintenance is carried out on metro system escalators every month.